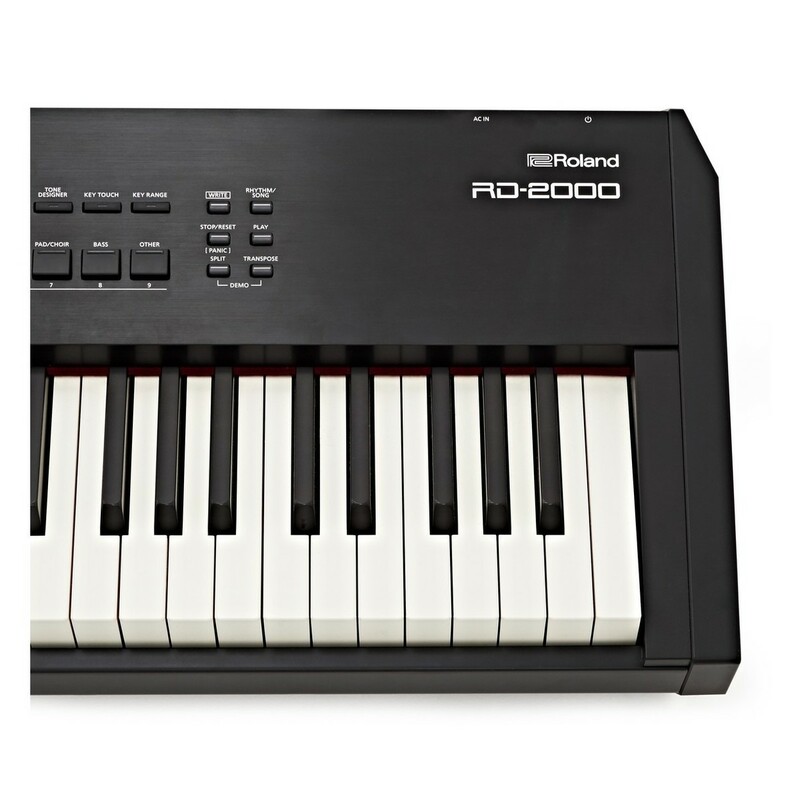 The Roland RD 2000 Digital Stage Piano offers a comprehensive range of features to the advanced live musician. 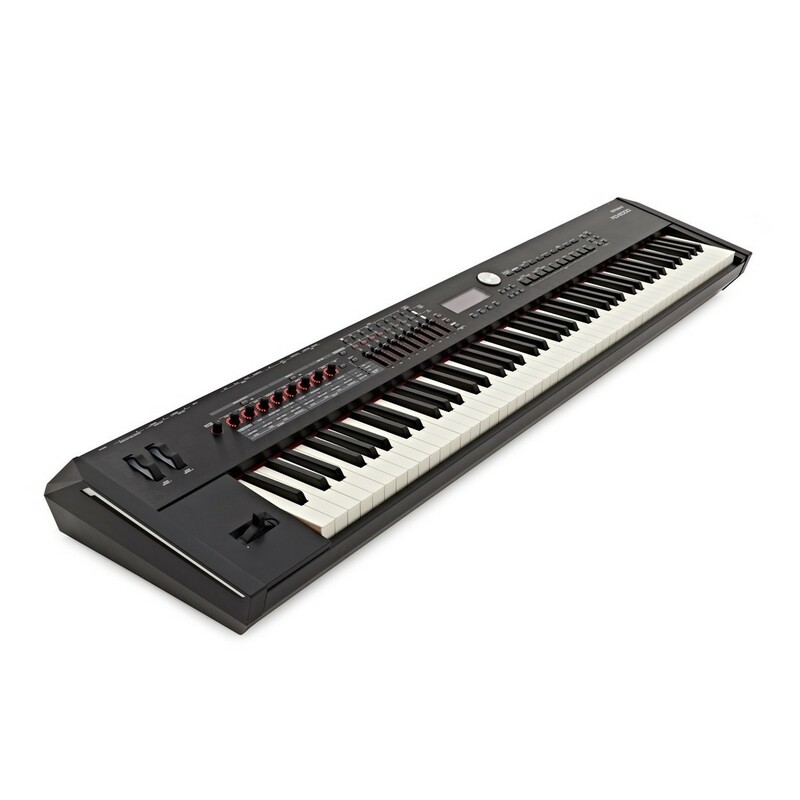 The PHA-50 keyboard has an expressive response to your individual playing style, whilst ebony/ivory key tops have a smooth feel. 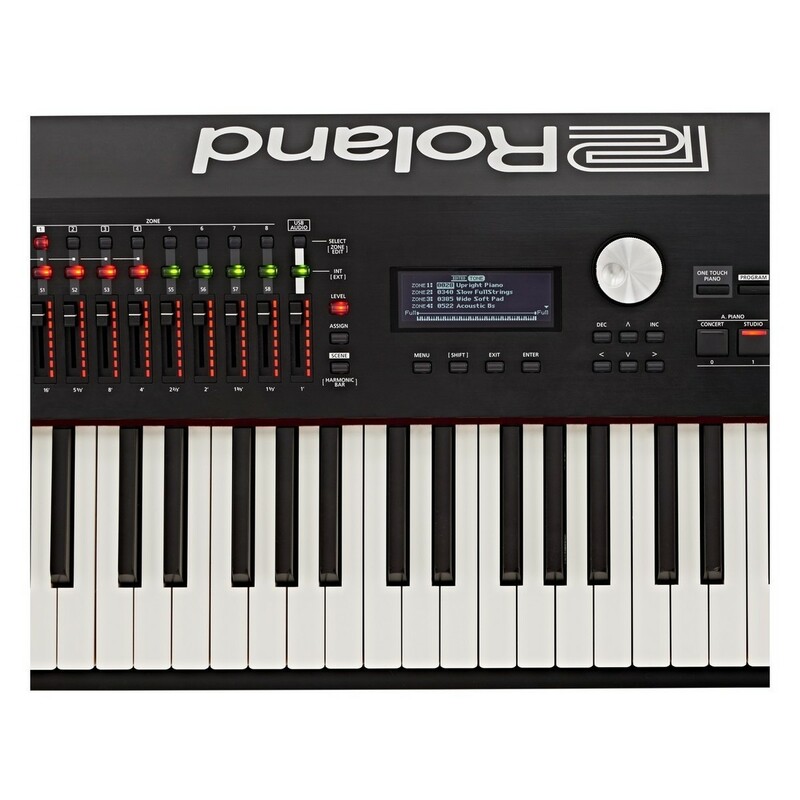 The two sound engines are designed to separately incorporate electric and acoustic piano sounds, so you have the most authentic tones available. The RD 2000's LED indicated controls and digital interface allow you to tweak and refine your sound whilst on a dark stage. The eight assignable zones and 100 scenes are ideal for quickly recalling specific sounds at the touch of a button. 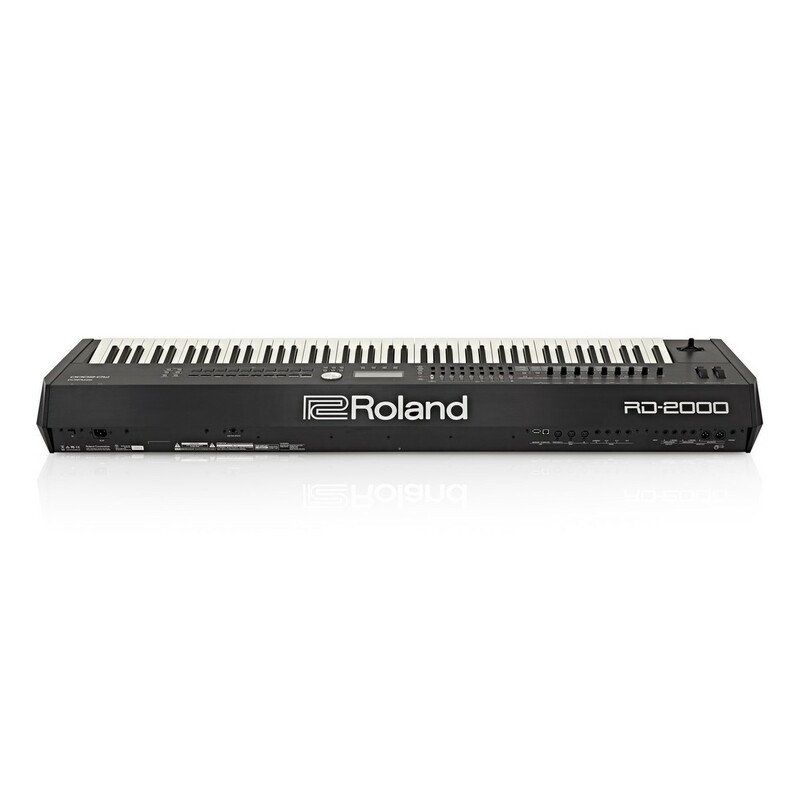 The RD 2000 is the companion for the stage musician wanting no compromise in sound or playability. 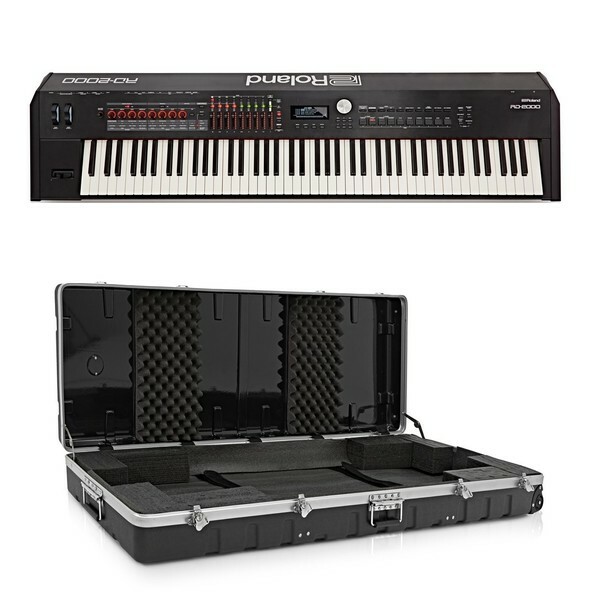 Roland Cloud - Revolutionizing the music creation industry, one voice at a time. The dual sound engines present on the RD 2000 offer the best of electric and acoustic piano sounds. The SuperNATURAL modelling technology recreates the acoustic piano sounds. Rather than replaying a sample recording, the modelling technology takes into account the entire sound production process of an acoustic piano and applies it to each note. 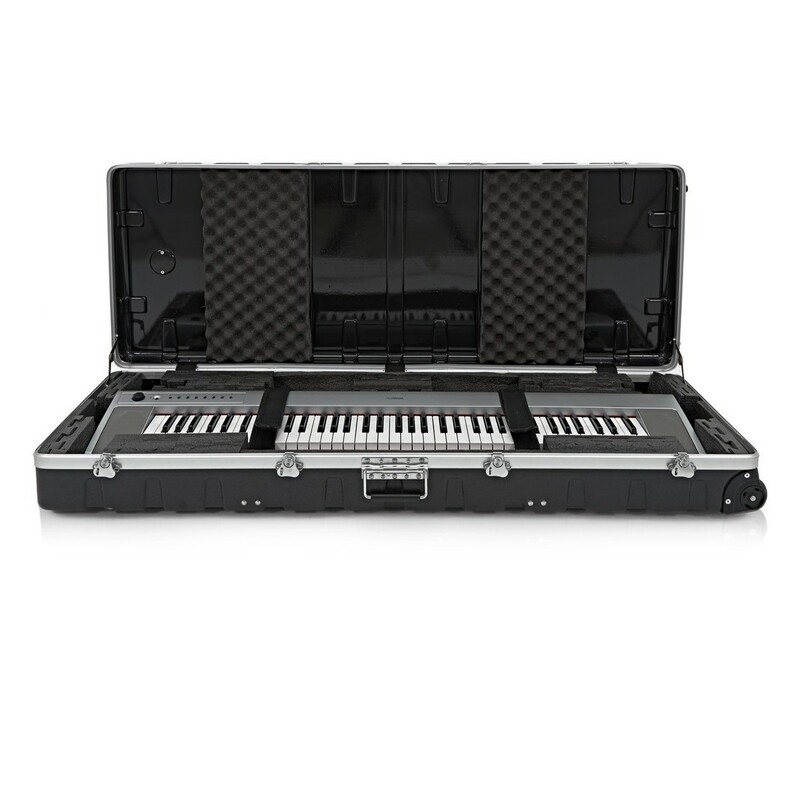 The V-Piano technology features an extensive modelling library with premium quality voices for you to choose from. With both engines, you can confidently perform with some of the finest tones available. The result is an increased level of responsiveness and a rich sound with complex overtones that is not achievable from using piano samples. 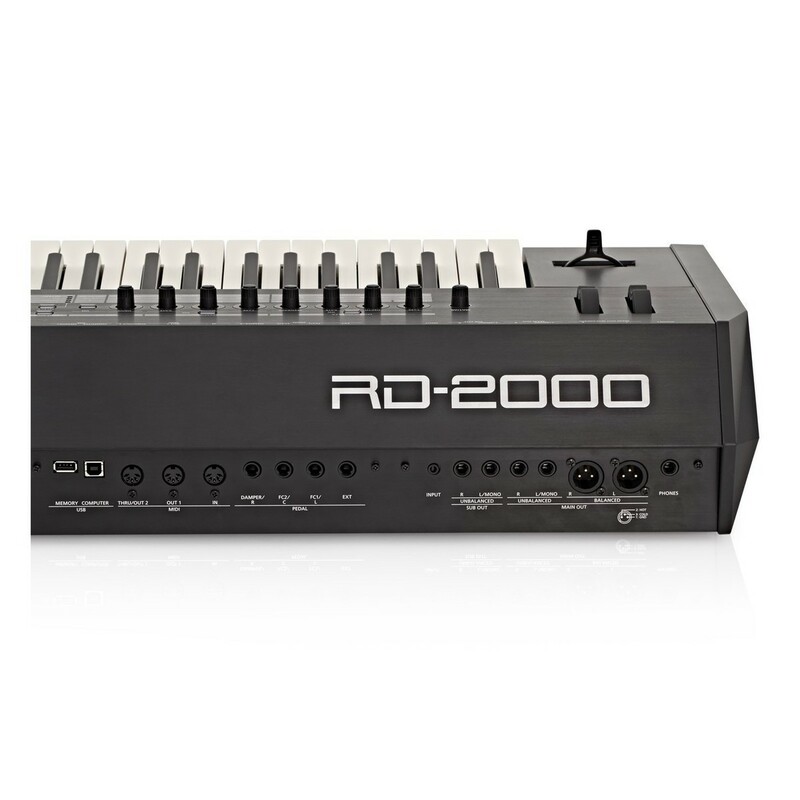 The RD 2000’s design is specifically directed at the stage musician. With eight control knobs and nine sliders, you can edit the extensive parameters without to the minute degree. The LED indicators provide you with a visual aid when in darkly lit areas, as well as providing an accurate representation of each control’s levels. 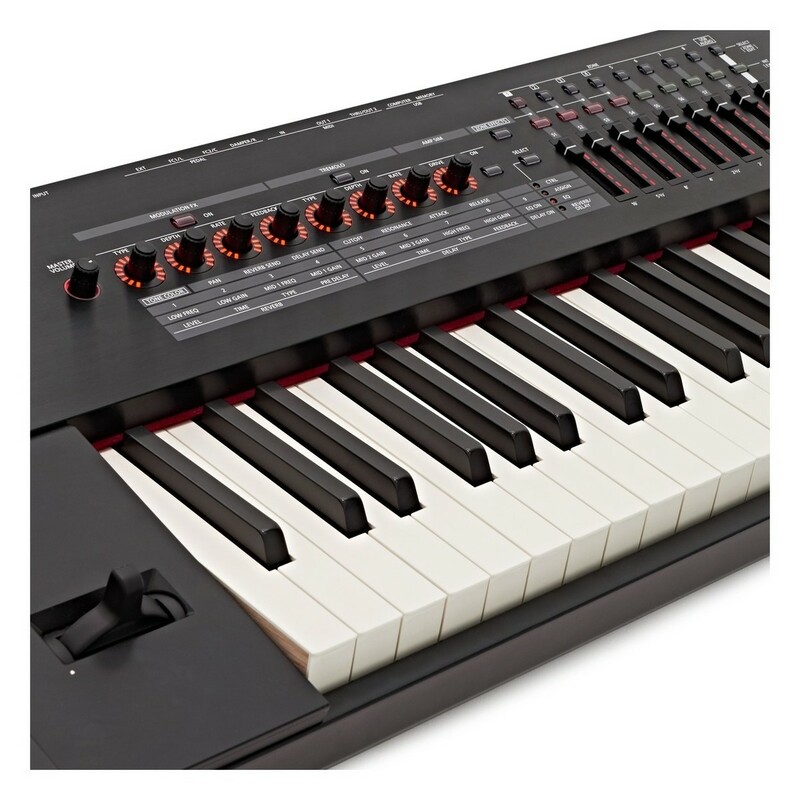 The RD 2000 also benefits from eight assignable zones to create combinations of sounds. As well as this, the 100 different scenes offer a snapshot of the keyboard that can be recalled at the touch of a button. The RD 2000 allows you to perform at your best on stage. 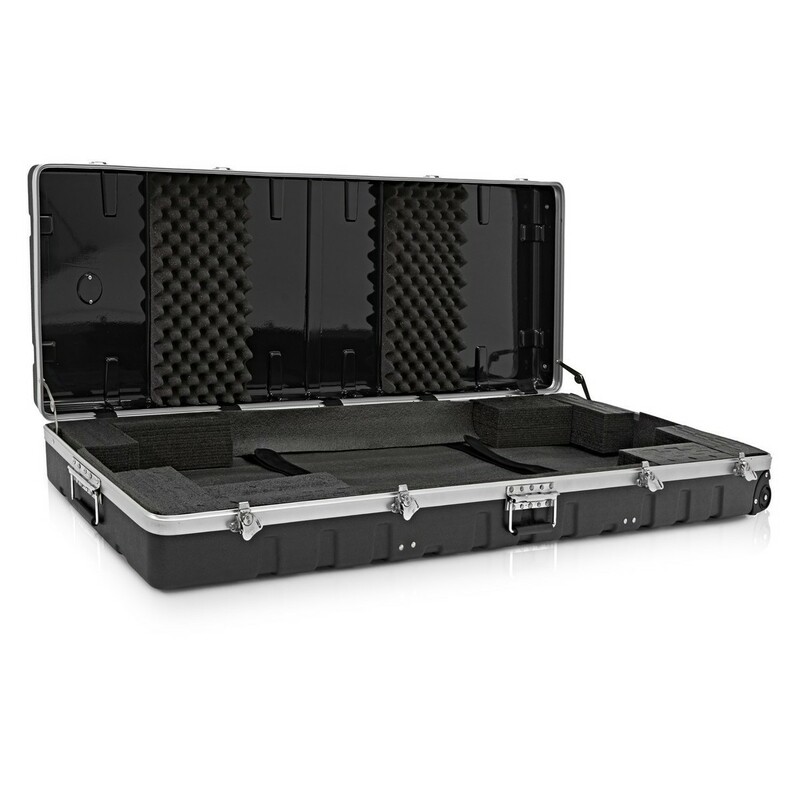 The RD 2000 is not just an instrument itself, but can also be a hub for your laptop’s setup. 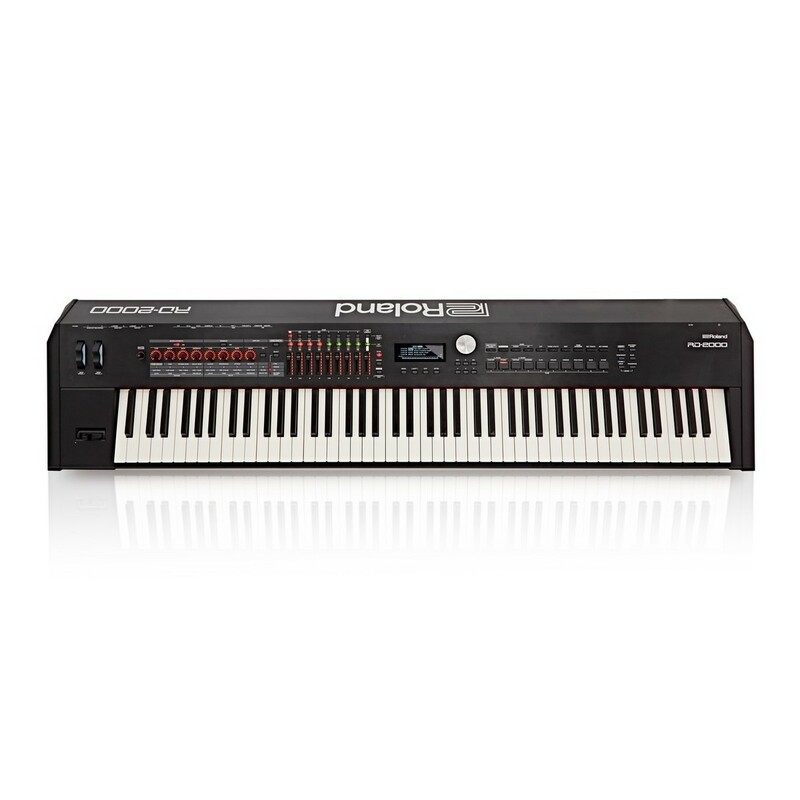 With the USB/MIDI interface you can connect it to studio DAW to recreate your specific recorded tones on stage. The studio synths can be routed through the RD 2000’s processor and be performed with zero latency. 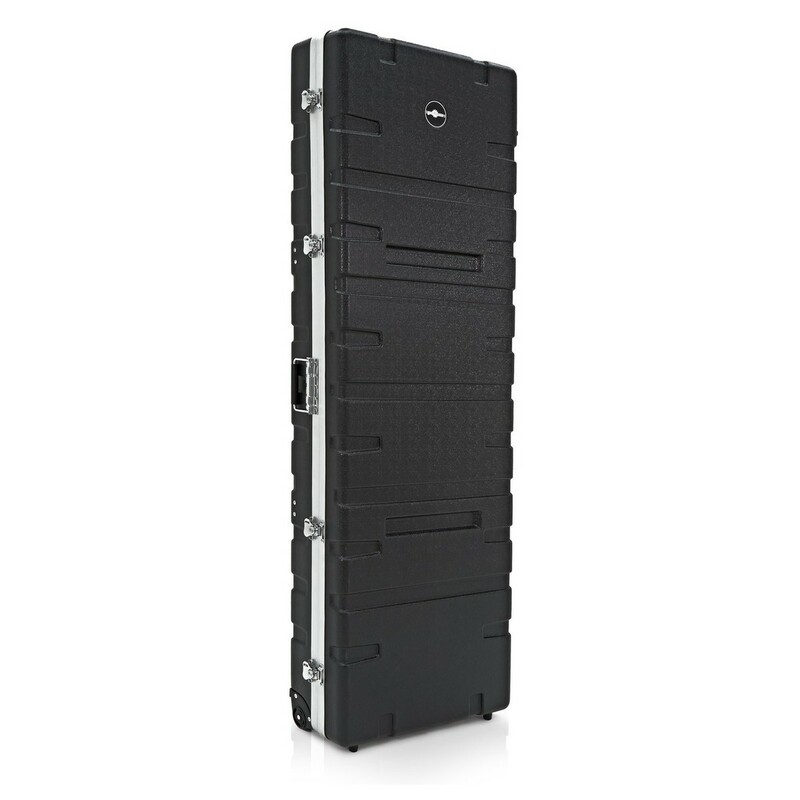 With 24-bit audio rates and up to 192kHz, this function produces the highest quality tones without a complex rig. Gigging musicians always require an instrument that’s as easy to get to the stage as it is to play once there. The RD 2000 packs its extensive range of features and benefits into a unit under 1.5 metres in length. 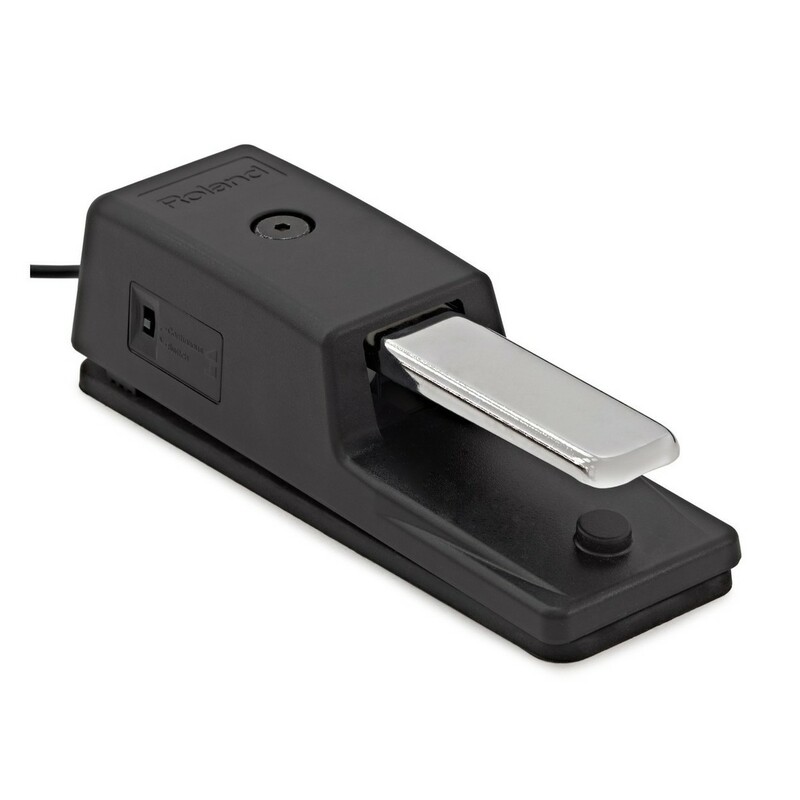 The RD 2000’s controls and outer casing are hard wearing and reliable for long lasting durability. This model is ideal for putting in the car or tour bus and driving regularly to gigs for years to come.